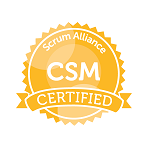 Scrum Alliance® certifications fulfill the vision of the Agile Manifesto by fostering greater collaboration, productivity, and success among team members. 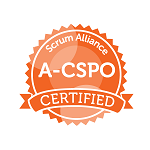 Learning Tree has gone above and beyond to provide you with everything you need to achieve your Agile Scrum certification and take your organization to a higher level of performance. 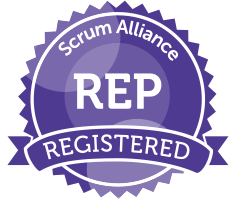 As a Scrum Alliance Registered Education Provider (REP), Learning Tree can help you earn and maintain your Scrum Alliance certifications with top-quality Scrum training delivered by industry expert instructors. 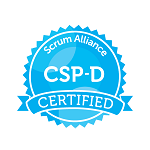 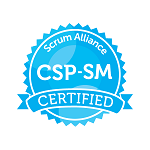 Whether you want to become a CSM, CSD, CSP, or CSPO, we provide you with everything you need to achieve your Scrum Alliance certification. Most of our Agile Training is eligible for SEUs. 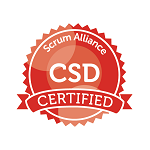 If you would like a private training event to be eligible for SEUs, please let us know. 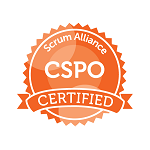 The progressive training model offers a staged, two-year journey that allows participants to choose an educational track that improves core Scrum knowledge, builds skill sets, and provides the necessary tools to evolve as an Agile practitioner, from Scrum foundations to advanced practice. The course was just what I needed to reinforce Agile and scrum practices to apply them on the job.